I’ve spent the last 5 years designing websites for therapists and other companies. With this experience, I’ve developed this guide to provide step by step instructions on how to build your own website – from start to finish. 1. Visual learners will love how each chapter uses multiple images to show actual screen views and instructions. 2. Web-lingo is translated into real English that is easy to comprehend and follow. Simple is better. 3. Real guidance on each step of the web design process. From the domain to uploading your design, each step is explained thoroughly. 4. 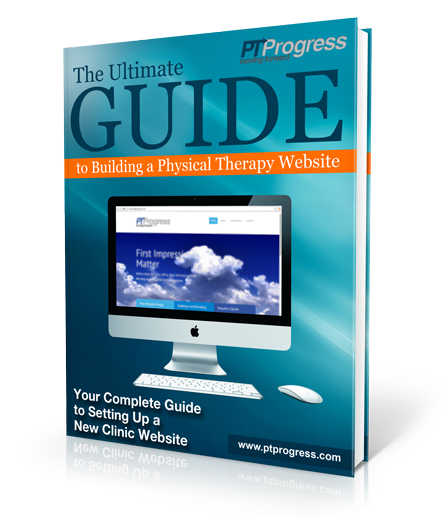 Your clinic website will be beautiful and functional, not to mention optimized for search engines. Don’t worry, there’s a chapter on SEO as well. Enter your name and email and click “Send me a Copy” and you’ll get this guide for free!